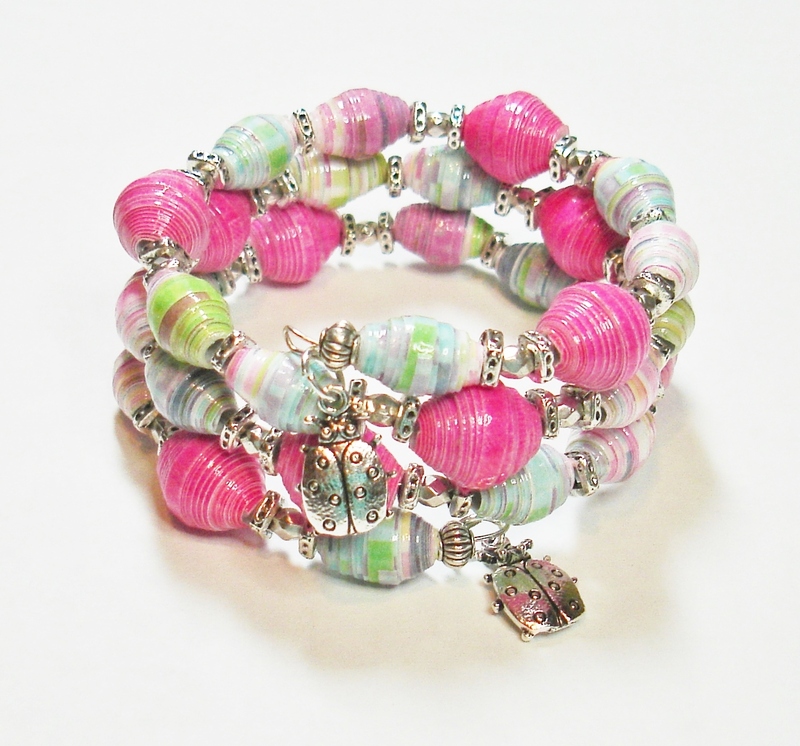 « Tracy T. is wearing jewelry this morning made by The Paper Bead Boutique! Good Morning Paper beading Friends! I have been feeling less than creative for the last couple of weeks and when I feel this way, it’s hard for me to want to work on any crafting projects! I guess what’s going on around us effects our moods and in turn, our desires to get creative. We’ve gotten my Mom thru her big move…Haven’t been feeling the best lately…Got a big ticket in the mail yesterday…Yes, I guess all of those things are effecting my desires! If you are so inclined, I’d love to hear what motivates you when you get in that creative funk! In the meantime, I am going to try to turn things around today and get something going! I’ll keep you posted! Until next time, Happy Beading! Thanks Eileen! Happy Sunday to you! Thanks for sharing – awesome bracelet!!!! Sometimes I just take a break or look through different sites for ideas and if that doesn’t help – climb a tree! And look at this awesome world. Creativity comes out in different ways. Love all your blogs! Glad you got the flowers. I miss being there as well. Thanks Emily for stopping by and making my day!